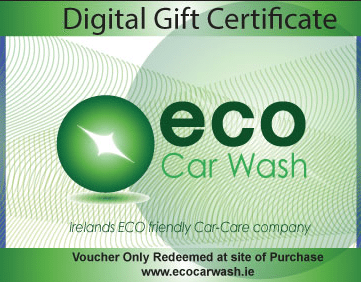 Eco Car Wash provides external hand wash and valeting services in shopping centres, retail parks and car parks throughout Ireland Eco Car Wash uses natural solvents and as little as 3 litres of water to wash a car. We also use rainwater capture where possible. Within each car park our service can be 100% mobile as our trolleys contain all the water and equipment required to provide a quality external car wash.